The South African Jewish Board of Deputies (SAJBD) has commended the University of Cape Town’s (UCT) Council for not accepting Senate's resolution to an academic boycott of Israel. "Their decision on Saturday endorsed the principles of academic freedom that underpin any credible global top-ranking university. An attempt to boycott academic institutions in Israel, or indeed in any other country, would contravene outright these principles, on which the proper functioning of institutes of higher learning is predicated," SAJBD spokesperson Charisse Zeifert said in a statement on Sunday. According to the UCT spokesperson Elijah Moholola, the institution's Senate took a resolution in favour of a proposal for UCT to not enter into any formal relationships with Israeli academic institutions operating in the occupied Palestinian territories and other Israeli academic institutions enabling gross human rights violations in the occupied Palestinian territories, News24 previously reported. The Senate resolution was passed at a meeting held on March 15. According to Royston Pillay, the Registrar and Secretary to Council, the matter was on Saturday referred back to the Senate after it was realised that a full assessment of the sustainability impact of the Senate resolution and a more consultative process was necessary before the matter could be considered any further. 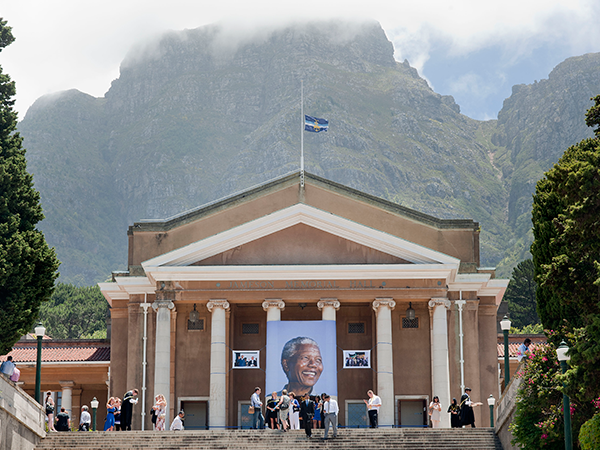 The SAJBD said that should UCT's Council resolve to academically boycott Israel, it would be "a tragic betrayal of the university's fine record of upholding such values". "We look to the Senate to further endorse and uphold these principles in their future deliberations. Any resolutions should reconfirm the university's ethos and its commitment to fairness, justice and non-racialism," Zeifert said.